Run Ignacio 2016 | JustRunLah! In celebration of this year’s homecoming Tatak Asul, the Ateneo Alumni Association (AAA) will be hosting Homecoming Run: Run Ignacio on Sunday, November 27, 2016. The fun run will be held at the Grade School grounds of Ateneo de Manila University. There are two categories for the run: 3K and 5K open for all ages. 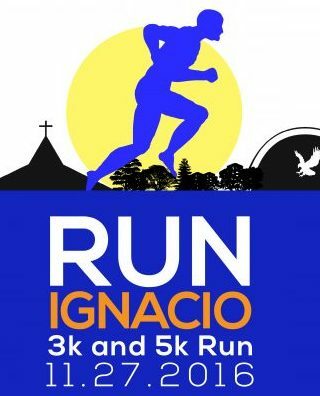 Run Ignacio is a fund raising event for two beneficiaries; the Order of the Blue Eagle and the Social Development Projects of the AAA. The Order of the Blue Eagle provides scholarship to financially-challenged students of the Ateneo de Manila University. The Social Development Projects of AAA includes financing the pre-school education of Gawad Kalinga Molave children in Payatas, Quezon City and support the Jesuit Mission work.